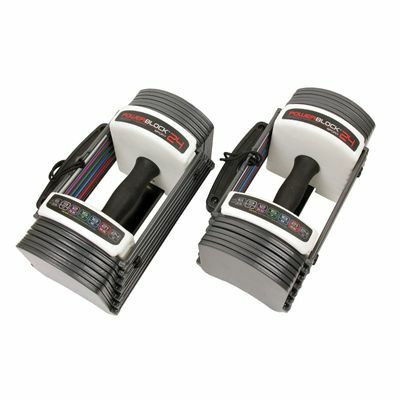 The Powerblock Sport 2.4 adjustable dumbbells are a comprehensive weight training set for the home gym. 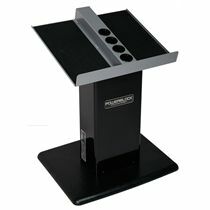 The PowerBlock Sport series can also be useful for personal trainers who provide their own equipment. 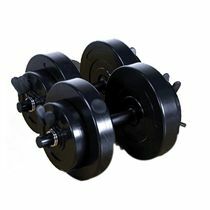 The dumbbells offer tapered handles with wrist support featuring more open design with larger handle cavity. The Sport 2.4 model replaces 8 pairs of traditional dumbbells and offers the weight range of 1.5kg-11kg per hand. The Sport 2.4 cannot be further expanded. for submitting product information about PowerBlock Sport 2.4 Adjustable Dumbbells We aim to answer all questions within 2-3 days. for submitting product information about PowerBlock Sport 2.4 Adjustable Dumbbells. We aim to answer all questions within 2-3 days. If you provided your name and email address, we will email you as soon as the answer is published. Absolutely brilliant piece of kit! I can workout from home with ease, knowing that as I get stronger I have more weight to add right there. Really easy to use and switch between weights during a workout. Love them! Great service from Sweatband too, very quick delivery and kept in touch throughout - can highly recommend! Great product at amazing price. Very happy! Perfect. Exactly what I need to build strength at home. Great versatile product. Great service. Love my Bell's. Excellent price and excellent value for money. Easy to use for a wide range of exercises. Absolutely loving my PowerBlock dumbells! Can't fault them- good quality, easy to use and were delivered super quickly too. My home workouts have improved a lot with them, not to mention that according to 3 little boys mum now looks cool too. Definitely excellent value for the money. Great dumbbells, save space, very easy to use. I bought these for my son and he tells me he's very pleased with them. They are very compact and easy to store. I was extremely impressed with the customer service of Sweatband and will definitely use them again. As with everything else I purchase, I read lots of reviews about which dumbbells to buy as I wanted to increase my strength training workouts at home. These powerblocks came up as the best for my needs and they haven't disappointed. 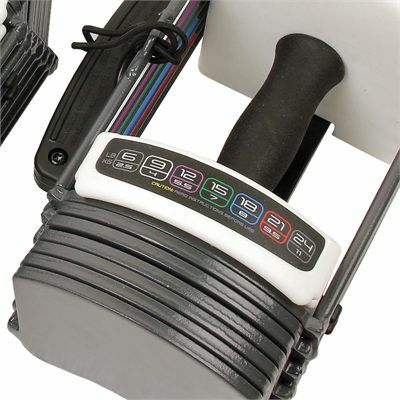 They're easy to switch between weights, portable between rooms and are marked in lbs and kgs. I look forward to strength training days just so that I can use these and challenge myself by increasing weight. Good quality, easy to use. Not cheap, but a good buy if you can afford to prioritise convenience over cost. These dumbbells feel as though they are high quality and work well. They are easy to adjust but it may take some practice to get used to it. I think the weight selection is perfect for a beginner at lifting and provides a good range without taking up the space of regular weights. Good value for money, especially if you are saving on a monthly gym membership. So far really love these dumbbells! 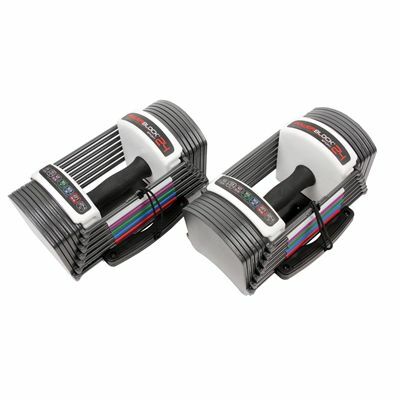 for submitting product review about PowerBlock Sport 2.4 Adjustable Dumbbells.